This new Quick Profile by Elan McAfee exercises the body AND the mind! 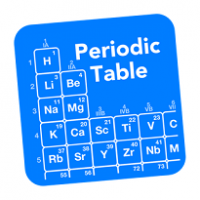 Riders will take a tour of the periodic table and get an opportunity to answer some trivia questions along the way…check out the PowerPoint below! Through high-intensity efforts of varying duration between 20 seconds and 3 minutes, riders will increase awareness and improve form during the more difficult efforts. Riders will also develop an understanding of recovery’s role in HIIT, allowing them to better hit their target power. And if you’re looking for some additional songs to weave in, then check out our Periodic Elements playlist. I work for a company that manages corporate wellness centers. We manage a huge Chemical company in TX…my early morning spin class, who is comprised mostly of chemical engineers, is gonna get a big kick outta this!! thanks! Great concept. Can’t wait to try it out. when you teach it, let us know how it goes! I see that National Periodic Table Day is February 7. While I will schedule this profile in my calendar for that time next year, I can’t wait to try it out this year. There are several songs that I really like and others that I look forward to using. The warm-up songs are a gas! What is great for me is that I teach a 45 minute class so having the advice on how to shorten the profile is so helpful. On a side note, I just found out that helium is in short supply and you can’t get it for balloons without paying lots of silver and gold. It is a very creative and fun profile! Elan, I love this theme. Great job!